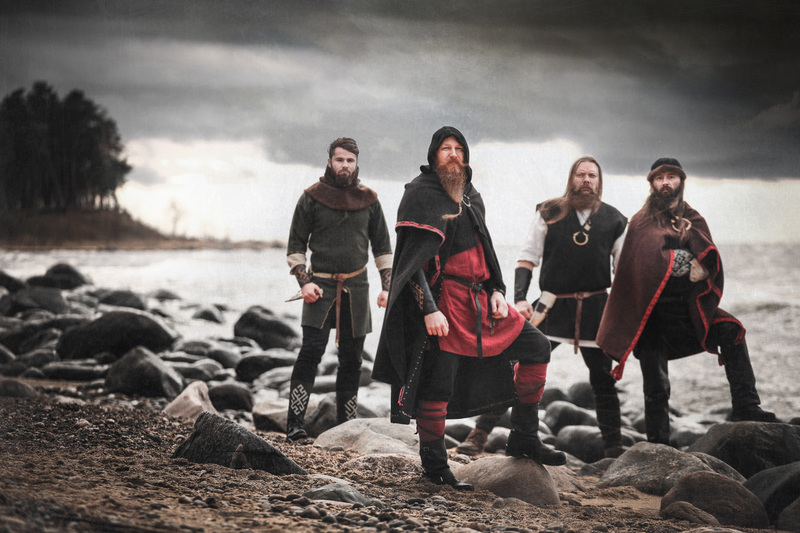 Latvian pagan metal legends SKYFORGER are premiering a brand new song from their upcoming sixth studio album “SENPRŪSIJA” (“Old Prussia” in english). Titled “Tagad vai nekad” (“Now or Never” in english), the song speaks about the Great Prussian uprising during 1260 – 1274, when the Prussian tribes almost succeeded in driving the Order of Teutonic Knights out of Prussia. SKYFORGER have been an enduring act of authenticity and folkish tradition for the past two decades and they’re back once again with their unique combination of ancient and modern music, blending the traditional Baltic Folk sounds with extreme sonorities such as the Norwegian black metal or the heavy metal from the 80s.